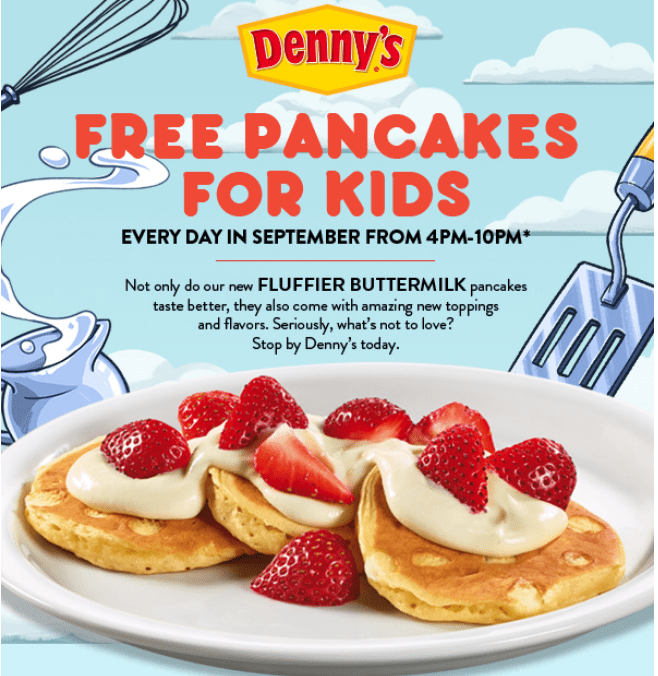 FREE PANCAKES FOR KIDS ALL SEPTEMBER. All month long, Denny’s treating the little ones to FREE PANCAKES. And now with added good stuff like fresh buttermilk, real eggs and a hint of vanilla, free food never tasted so good. Every day in the month of September kids can enjoy Free pancakes from 4-10pm. This deal is valid for up to two kids 10 yrs or younger with an adult entree.